Private services will be held. Interment will be at Forest Hill Cemetery. 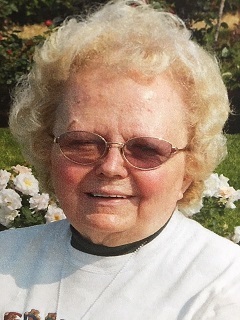 Kathryn Louise Rindal, 85, passed away Tuesday, January 15 at Beehive Homes of Duluth. Kathryn was born January 29, 1933 in Grand Marais to Leonard and Margaret (Blavet) Johnson. She married Gerald Oliver Rindal April 1, 1951. They celebrated 60 years of marriage together. Kathryn retired as office manager for the Transportation Communications Union. She enjoyed boating, long walks, and Crystal Lake Cabin. Spending time with her family was the most important thing to her. Kathryn adored her grandchildren and great-grandchildren. She was preceded in death by; her husband, Gerald Oliver Rindal. 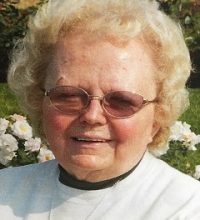 Kathryn is survived by; her children, Corky (Judy) Rindal of Superior, Gregory (Julie) Rindal of Superior, Sally (Keith) Rish of Duluth, Madge Erickson of Duluth; eight grandchildren; ten great-grandchildren; and special sister-in-law, Pegra Cobb. The family would like to extend their thanks and gratitude to the entire staff at Beehive Homes of Duluth and Essentia Hospice for their loving care and compassion.